Kerry Harm Nielsen and Anna Gram Sørensen are the duo behind the Danish contemporary art gallery KANT, and the guest curators of ArtMaze Mag Winter Issue 11. The pair have shared a common interest in art for decades, and in 2004 opened KANT in a small tourist village. While this may seem an odd location for an art (and then design) gallery, both Kerry and Anna have strong entrepreneurial backgrounds and recognised the space in the market that Galleri KANT would occupy. 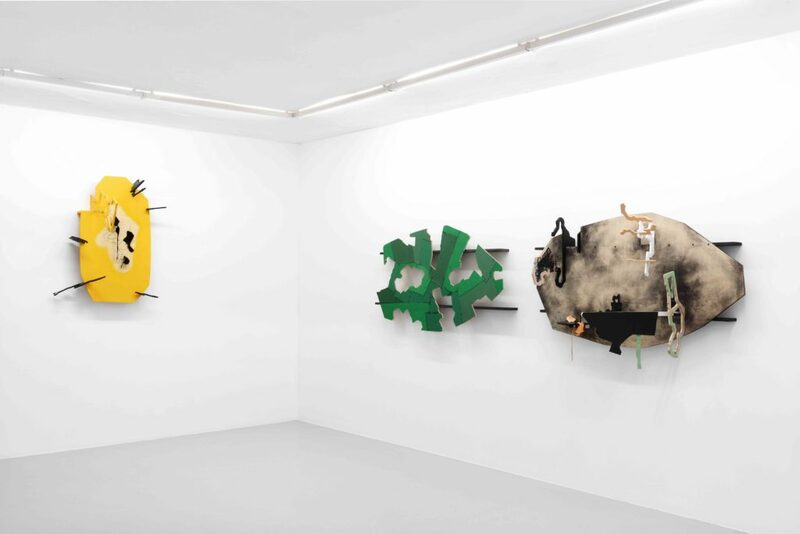 Today, KANT has a permanent space in Copenhagen and represents a dynamic range of emerging and established Scandinavian and European artists at its two spaces, international art fairs and with partner galleries around the world. The artists in the KANT stable vary widely across medium, style and subject. For Anna and Kerry, it’s about working with artists who are making interesting work, be it abstract or figurative, conceptual or traditional. Over the years KANT has built up a loyal market which resonates with its dynamic programming. 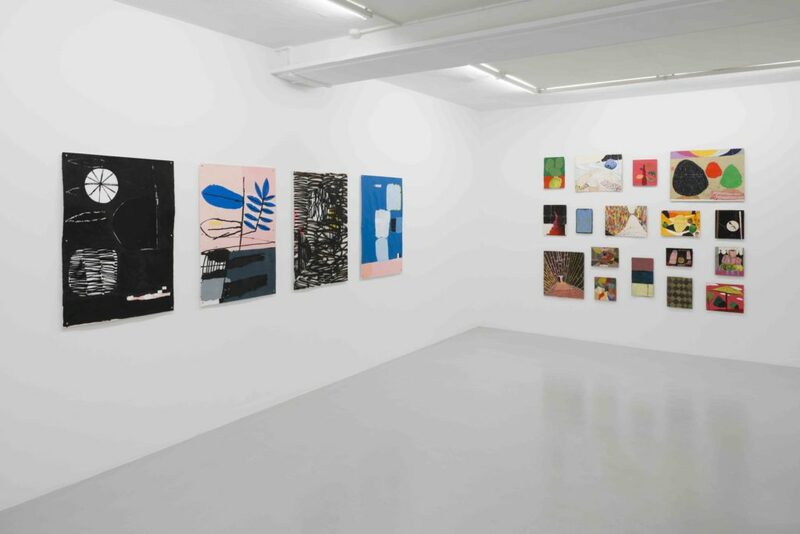 The gallery’s current roster of artists includes established Scandinavian names such as Daniel Jensen and Susanne Wellm as well as promising new-comers like Tuukka Tammisaari. For Kerry and Anna, the success of Galleri KANT is built off of their deep love and commitment to promoting interesting art and constantly seeking out new opportunities for their artists. 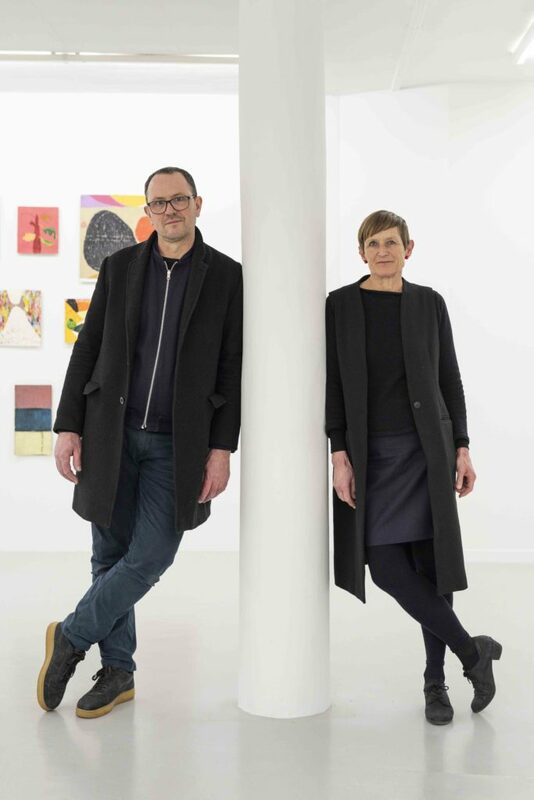 We chatted with the team to find out more about their journey as gallerists and what goes into running Galleri KANT. AMM: How did Galleri KANT come about? Please tell us a little about the history of the gallery and how it’s changed and developed over the years. GK: KANT was inaugurated in 2004 on the small island Fanoe on the west coast of Denmark in the Wadden Sea. The Wadden Sea National Park is Denmark’s largest national park. It’s also a UNESCO World Heritage Site because of its enormous ecological importance as the world’s largest unbroken system of intertidal sand and mud flats. Placed in the historical village Soenderho, the building in which KANT resides, was originally a large commercial garage. Over a period of half a year the building was transformed from an ugly duckling to a white swan with the purpose of presenting contemporary art and design. With three large exhibition spaces, two for art and one for Scandinavian design, we were convinced that this combination would attract an audience and offer a unique platform for the promotion of artists and designers to the thousands of guests visiting the island annually, predominately from Denmark, Germany, Norway and Holland. Early 2012 we were contacted regarding a wonderful artist run space in the capital called skulpturi.dk which was closing. The Danish Arts Council had funded this incentive for three years, and as the funding was ending, we had the possibility to take over the lease and have a second space in Copenhagen. This call gave us the opportunity to open in the hub of Copenhagen, and in the summer of 2012 we moved permanently to the capital inaugurating the new space in late August with a dialogue show between two international artists Michelle Grabner (US) and Lars Breuer (Germany). Simultaneously with the opening in Copenhagen we closed the design side of the gallery on the island, but kept the building. Since 2012 we have solely focused on art. Today KANT annually presents 3 shows on the island primarily during the spring and summer and 8-10 shows in Copenhagen. AMM: Have you both been involved with the gallery from day one? How did you come to work together and what do you think you each bring to the partnership? GK: We have both been involved in the gallery since 2004 and have shared a common interest in art since we met in the 80s. Apart from having two different cultural backgrounds Danish / New Zealand, we feel that having the partnership helps with the many decisions, which have to be made on a day to day basis. But more specifically, being two to share visions and focus on the long term gallery programme has proved a huge advantage. AMM: What are each of your respective backgrounds and current roles in the day to day running of the gallery? GK: We both come from families which have been or are self-employed and run their own businesses. Anna is trained as a teacher, while Kerry owned a painting and decorating company specialised in restoration of historical buildings for 20 years. That company is now sold, but it was financially backing KANT during the start-up years. Today the gallery roles are relatively clear, Kerry looks after the international contacts, art fair participation and the annual programme, while Anna looks after the economy, exhibition preparation and the gallery on a daily basis. We share the responsibility for contact with the artists and clients and both work with sales. It has been a long journey with many discussions and adjustments. Ultimately, it´s an ongoing process, where flexibility is continually important. AMM: What is the aesthetic and culture of your gallery? How have you gone about establishing and maintaining this, both in the physical space and as a brand? GK: Our logo from 2004 KANT, written with white capital letters on a classic orange background, is both sharp and graphically a strong brand. The Danish word KANT translates to edge, and we feel the aesthetic expressed in the name and logo still represents our underlying intention. It´s not a strategy for us to present a specific aesthetic in the programme, although some people say they can see a certain KANT aesthetic related to an architectural theme. That we mirror contemporary art and culture is more important than a take on what´s trending or a specific media. We currently collaborate with artists between the ages of 30 and 80, who have diverse practices representing painting, drawing, photography, sculpture and installation both representational and non-representational. AMM: In 2018 year KANT participated in Market Art Fair, Expo Chicago and Code Art Fair (with Fold Gallery). What strategy do you apply to art fairs – How do you select which fairs to attend and what are some of your objectives for participating? GK: Since 2012 and our move to Copenhagen our international art fair participation has grown. In 2018 we collaborated with FOLD on exhibitions in our respective galleries and fairs, as we share artists and there are some similar aesthetics between the programmes. In February 2019 we team up again at Art Rotterdam presenting a dialogue show with Daniel Jensen (Sweden) and Kes Richardson (UK). Art Fairs are an important platform to promote the gallery and the represented artists. But as there are dozens of fairs, and we receive many invitations, we are selective and normally only apply for fairs that we consider to have a strong overall aesthetic and where there is a consistency in returning galleries. This is always a good indication that the fair organisation and programme works, and that the participating galleries are satisfied. Is the country and specific market relevant; can we easily maintain client contact, when the fair is over; do we have an artist or artists, which fit the overall curation of the fair; does the fair give career leverage to the artist and gallery; and what are the total costs? AMM: What are some of the challenges and learnings you’ve experienced over the years at Galleri KANT? GK: An important learning has been to understand the market hierarchies and establish our position within it, as this influences all aspects of decision making. We are for example consistent in securing and servicing our home market by focusing on a programme which is attractive for our Danish buyers and collectors. That the programme finds recognition among an international audience we consider as a bonus, but not the first objective. 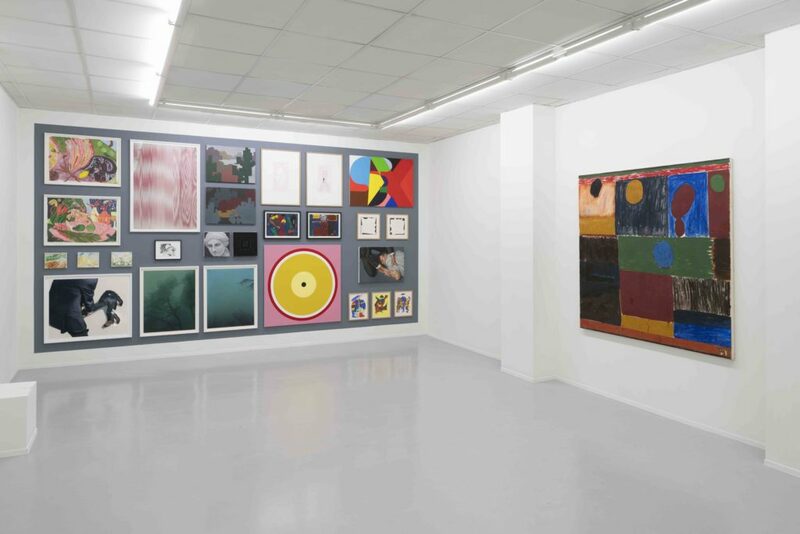 AMM: What is the contemporary fine art scene like in Copenhagen right now? GK: Since our opening in Copenhagen in 2012 the art scene has been clearly growing, becoming more international. Museums and institutions like Louisiana, SMK—The National Gallery, Copenhagen Contemporary and ARKEN have all seen growing numbers of visitors every year. Apart from the exhibitions they all have diverse events which subsequently attract a broad audience. 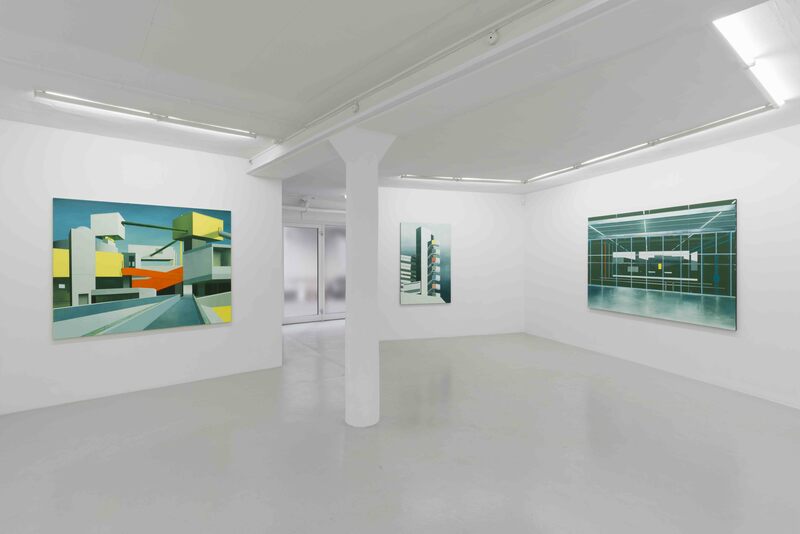 The gap between non-commercial spaces and commercial galleries seems to be diminishing. The strong Danish economy plays a role but in general the art scene seems more open and accessible. Today the city numbers approximately 10 institutions, 10 artist-run spaces and 25 commercial galleries. AMM: Are there any trends shaping the Scandinavian and European art market that you’ve noticed? GK: Pretty difficult to pinpoint trends. AMM: What do you look for in the artists you work with and represent? How do you generally discover new artists? GK: We don’t look for a specific aesthetic when considering new artists. Our intuitive understanding for what we consider interesting is the most important measure. If we move forward with an artist it´s because we feel strongly about the work and the connected practice. Discovering new artists has definitely become much easier. We discover new positions through other artists, galleries, art fairs, mags and Instagram. Instagram has revolutionised the access to art discovery. AMM: What sort of working relationship do you have with the artists in your stable? GK: We manage a close working relationship with most of the artists. This can include archival maintenance, website updating, catalogues, client and press contact, logistics, texts and much more. We do many studio visits during the year, where we discuss the newest work and coming projects. Exhibitions and art fair participation are extra demanding. Most of the artists also have exhibitions or related activities outside the gallery, which we are often involved in. During the last two years we have worked on establishing good relationships with a number of international galleries with the intention to collaborate on future exhibitions with artists from our programmes. At the moment we have gallery relations in Stockholm, Zurich, Berlin, Helsinki and London. We are now starting to see the fruits of this work and can offer new opportunities for the artists. AMM: There is a wide range of style and conceptual focus in the work of the artists KANT represents. What is the golden thread that ties everything together and defines the gallery’s positioning? GK: Looking critically at the programme, it spans philosophical, psychological, political, spiritual and decorative content. There are different takes on these issues represented in a diversity of artistic practice. Positioning the programme on a more secular strategy has never been our focus. AMM: What have been pivotal exhibitions or events for the gallery and why? GK: Opening in the hub of Copenhagen was definitely a game changer for the gallery and artists. AMM: What is your understanding of the role of a curator and what is your approach to curating at KANT? GK: We don’t see ourselves as curators in an academic sense. We seldom plan exhibitions with a specific content or underlying intention. We do not use art to promote our own ideas. We understand ourselves as gallerists, we facilitate exhibitions, which present the artists´ take on their own subject matter. Although, when all’s said and done, we of course choose the artists. AMM: In your view, what makes an exhibition a success? GK: Maybe the most important success criterion for an exhibition is that the artist’s “intention and result” are coherent. AMM: : What sort of relationship with collectors do you aim to establish and how do you go about maintaining them? GK: We recall the days when we were new gallerists and met other colleagues, who talked about the “collectors”. For a long time we thought that “having the right collectors” was the difference between success or failure. Today we look at it differently and have experienced that there are many different buyers. Our focus is to have professional and welcoming relationships with all our buyers and guests. Every customer receives the same discretion and service, and some buy several works, others buy one. AMM: : What advice do you find you most often give to buyers and collectors? GK: Support young artists. Trust what you see and invest in what you love. Art offers a longstanding and unique experience. AMM: What is next for you both and Galleri KANT? GK: Coming up at KANT in 2019 are 8 solo shows in Copenhagen, 3 group shows on the island and 3-4 art fairs.